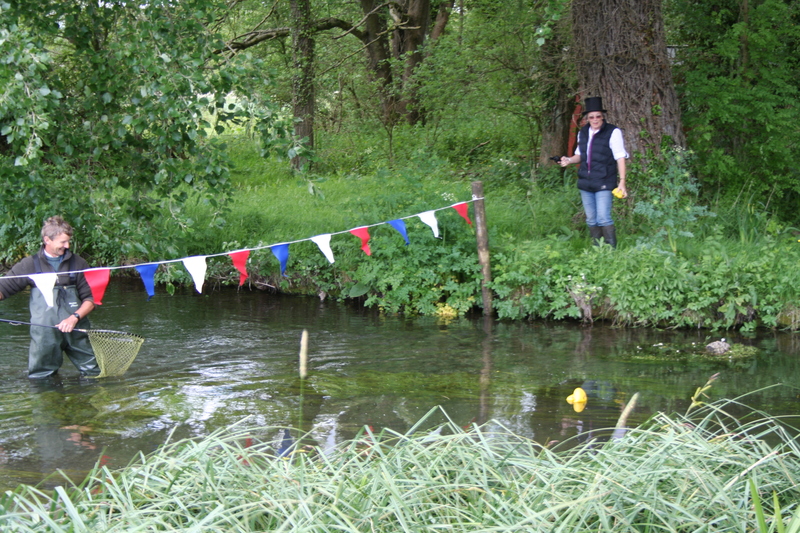 Let’s face it, there is something slightly barmy about pouring several hundred rubber ducks into a river and seeing which one comes first past a finishing line. But it is enormous fun. 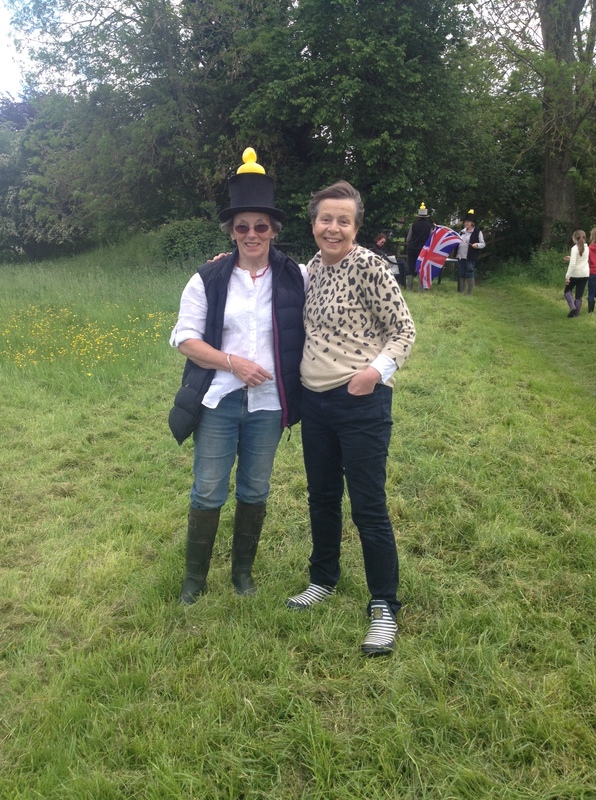 Perhaps it is being greeted by the race organiser (and clerk of the course) Judy Bishop wearing a black top hat crowned with a yellow duck which sets the tone….. The whole event was massively enhanced by the amazing nail biting commentary provided by Robert Hall (he has a talent for this – he should really take it further…). 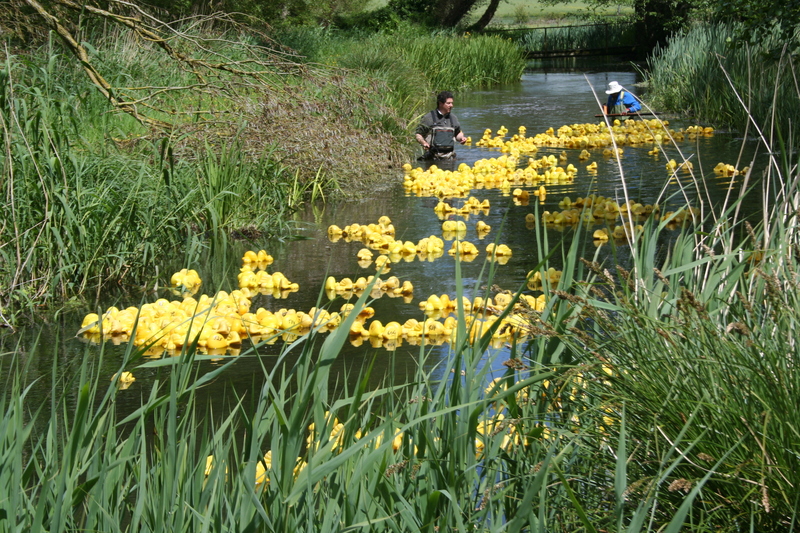 The race started with the deafening crack of a starting gun and the ducks were off – poured into the Itchen out of three enormous sacks, sending real ducks flying off in all directions, probably traumatized by the sight of so many yellow plastic imitations invading their habitat. Excitement mounted as it became clear that one duck – number 259 was in the lead by a long chalk. But, with the crowd in paroxysms of excitement as it passed round church bend and into the chicane, it got snagged in some weed and was trounced at the finishing line by several others. A totally mad afternoon but great fun and wonderfully British! 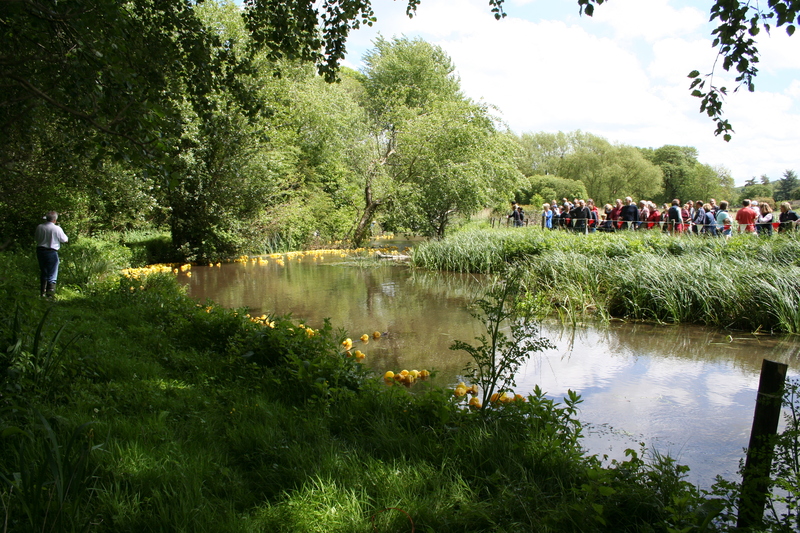 Thank you so much to Judy Bishop and her team of organisers (who have to live with hundreds of yellow ducks all year round), to those who sold ducks and plants and provided refreshments (Sally Stone, Iris Lacey, Rox Dhand, Helen and Mike Cox and Dorothy Broadley); to the river men (Simon Ffennell, Andrew Impey and Harry Dhand) who followed the ducks round to ensure that the fishermen of the Itchen will not have to deal with bathroom toys littering the sacred chalkstream; and to the many many people who bought ducks to support the churches of the Itchen Valley. A fantastic result on fund raising as well of about £1600. Well done everyone!